In virtual reality, we replace the user’s physical world with another entirely. This has important use cases. However, augmented reality and mixed reality applications build upon the user’s real-world environment to create a hybrid reality where real world objects and virtual objects coexist. This opens up a whole new set of application possibilities where the user can still interact with their surroundings, but enhanced with information. 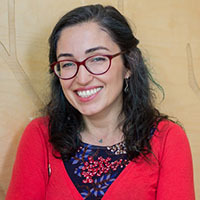 In this session, Ayşegül Yönet will explore VR, AR and Mixed Reality. She’ll show you what they are, what they are useful for and how to get started with them. Is VR going to happen? Is Augmented Reality just a buzzword? What is this Mixed Reality anyway? What can Mixed Reality offer that other mediums can’t? Join us if you are wondering what good can Mixed Reality technologies achieve and how to get started creating them.